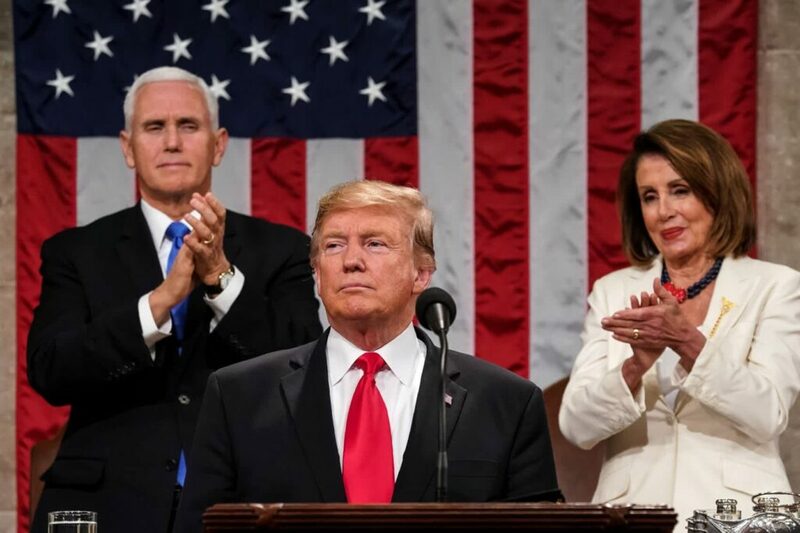 President Trump’s recent State of the Union speech (SOTU) elucidated a very different political landscape than the one that prevailed just a few years ago. Today, it is the Democrats who are “conservative,” in that they are trying to preserve the policies and institutions of American government essentially “as is” and expand upon these institutions. Republicans, now led by President Trump, have become the Reformers seeking to improve government policies especially when it comes to the economy. The political parties are realigning once again and with powerful implications. It has been noted on several occasions that President Trump is not beholden to a political ideology. Trump is a pragmatist and seeks to make deals with others that afford the greatest utility (greatest good for the greatest number). He is not a conservative, nor is he a progressive (liberal) in the way we currently use these terms. Like the accomplished businessman he is, the President wants to serve his customer base and will use the best means available to him to do so. In this case, the customers are American voters and government policy is the means to serve their needs. I wrote recently of how the American electorate overwhelmingly supports reduced foreign wars and strong border security (over 80% support for each). These are popular causes the President addressed during his campaign. President Trump certainly addresses the issues important to conservatives and more traditional “establishment” Republicans, although he has a much broader base of support. His mention during the SOTU of abortion and how children are made in G-d’s image are certainly examples. But he would not go further than to ask for a ban on late-term abortion. It is unlikely that he would support any more stringent restriction of abortion, given public opinion on the subject and his moderate and shifting views. Conservative calls for reduced spending, on the other hand, are going unheeded. The President has called for vastly increased defense spending and a large investment in infrastructure. The President’s call for prison reform and enactment of the First Step Act, intended as only the first of many reforms aimed at our nation’s broken criminal justice system, will have a great impact upon helping convicts reform. Reducing the prison population will have fiscal benefits to be sure, but this has not been a cause celebre for conservatives. 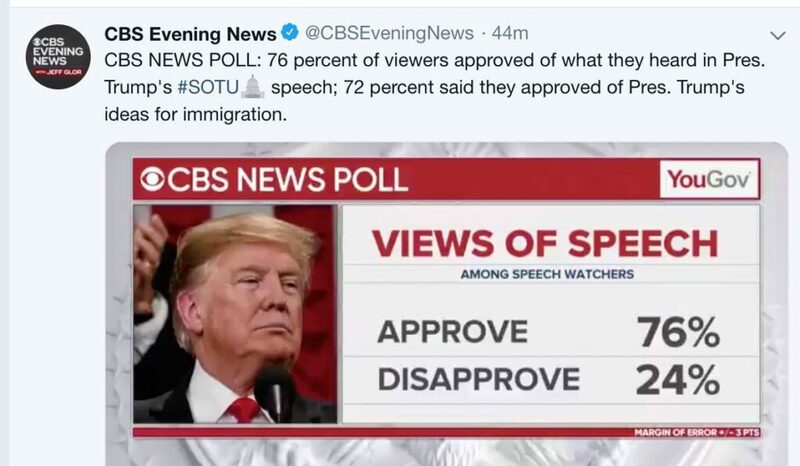 During the State of the Union the President trumpeted his success in growing the economy, and much more success is to come. Large multi-billion dollar investments in American jobs in the energy and technology sectors have only begun to bear fruit. New trade deals, reduced regulations, and lower taxes are beginning to alleviate the burden of government upon economic growth. A forthcoming trade deal with China will mean a $1 trillion Chinese investment in American made goods. Americans should be prepared for a second “Roaring 20’s,” which will have profound consequences on Millennial and Gen Z voters as the latter come of age. These younger voters are already skeptical of taxes and big government, despite their support for large social welfare programs and apparent support for “socialism.” In fact, most of these younger voters have been taught to believe socialism is a large social welfare system. In truth, socialism is government control of the economy (command economy), whereas, a social welfare system is a social safety net financed by a prosperous capitalist economy. The safety net cannot exist unless the private markets are profitable. The coming years will prove quite an education for these younger voters. President Trump’s economic and foreign policy has been described as “nationalist,” but neither Trump’s words nor actions reflect harmful nationalism as most international thinkers define it: the belief in the supremacy (racial or ethnic) of a given people and their way of life to the detriment of all others. President Trump believes in American exceptionalism, which holds that America is the greatest nation because it is built on the ideals of liberty and is an amalgamation of many peoples and races. The United States has also been responsible for raising the standard of living of many people around the world, a fact worthy of celebration. Placing American interests first in the international theatre is far from harmful nationalism. Bad trade deals and other countries playing unfairly, chiefly China, have siphoned US jobs overseas. This extreme internationalism (colloquially globalism) contrasts with nationalism in that the interests of others are emphasized to the detriment of one’s own nation or community. Why act to one’s own detriment? Can a balance be achieved betwixt the two positions? President Trump’s focus on the interests of the working class, unionized workers, the manufacturing and energy sectors, and small business owners emphasizes the needs of demographics that have been too long ignored by the political elites. He seeks to empower the US economy, but he has been willing to arrive at fair deals with other nations; if they were not fair, would these nations have agreed to them? South Korea, Japan, and the European Union have arrived at new trade agreements with the US that are much more balanced and hold benefits for both parties. Apparently, it is only the United States that is called upon to sacrifice its wealth to others. In simpler language, President Trump is not going to allow the United States to sell itself short in international trade. So, while many describe Trump’s over all policy approach as “national populism,” this that does not do justice to the broad range of reforms currently underway. Reforms driven by Ivanka Trump, among others, toward family leave benefits and increased per-child tax credits are worthy of particular note. These reforms focus on strengthening families, a positive for conservatives, but also come at a fiscal cost. 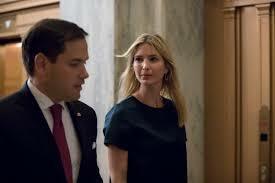 Marco Rubio and several other prominent GOP Senators came forward to help champion Ivanka’s cause for tax credits. The tax reform of 2017 nearly doubled the child tax credits. Embedded in these reforms is a substantial shift in the government’s approach to social welfare programs. An emphasis on family and a shift away from means-tested “hand out” programs is an investment in the future. Children raised in two parent families, regardless of the genders of the parents, are statistically less likely to live in poverty during their lifetimes or to commit crimes; they also have better educational outcomes. Policies that emphasize family, combined with prison reform, are substantial, long term steps to fixing social problems. One theme permeates the entirety of the Trump Administration’s efforts and the GOP under his leadership: Reform. The Republican Party is once again the party of Reformers, as it was when Rutherford B. Hayes, William McKinley, and Theodore Roosevelt sought to end the political “bossism” and corruption of the federal civil service in the late 19th century. In that time, the GOP was the reform-minded party looking to use the government to increase the prosperity and happiness of the American people and seeking to ensure their safety in a world full of militaristic colonial empires. In more recent times, Republicans became the “conservatives” in that the party opposed the expansion of the nanny state. Conservatives sought to preserve family, community, and traditional values under attack by cultural Marxism. Having come so far with social progress, we as a society have also seen the harm it can do: the family has been destroyed, mental illness and criminality are rampant, and people are generally lonely and miserable. Reformers want to help grow strong families, help people build healthy and productive lives, and restore an economic atmosphere of opportunity and upward mobility. In its strict definition, that is, the preservation of the status quo, the Democrats are now the conservatives. They seek to defend an expensive and corrupt welfare state that holds Americans in poverty. Many of our problems in America today result from or are exacerbated by the social and economic policies of the left, yet their answer to every problem we face is the same old tripe: more government! They are unwilling to try new approaches or to consider reforms to their system. Why? Because it is a system intended not to help those in poverty, but to empower Democrats. Voters who have prosperity can choose to vote for whom they like, those dependent upon the government have to vote for their patrons. In the 21st century it is the Democrats who are desperate to conserve their institutional power, while Republicans seek out new, untried innovations to address our society’s ills. The so called “progressives” are not very progressive at all, they seek only progressively more power and more taxpayer dollars. Reformers, by contrast, are marching on to new and better policies for the prosperity and happiness of the American People.